Allergy season can be a miserable time for allergy sufferers. Allergies are an immune reaction to things that your body doesn’t like, which are called allergens. These could be seasonal pollens, pets, or even foods you eat. One uncommon symptom may leave you wondering: Can allergies cause dizziness? You know the classic symptoms: stuffy nose, headache, fatigue, and irritated throat, but dizziness may not be common for you. Dizziness can be caused by a number of different things like not drinking enough fluids or a medication side-effect. Dizziness can leave you down in bed and unable to do your normal daily tasks. If you are suffering from dizziness and it happens around allergy season, this could very well be your issue. This article will help you understand about this symptom and tips to help you deal with it. Yes they can. There are many different types of allergies that can cause dizziness. This is usually because allergens in the air almost always affect the upper respiratory system that is connected to the Eustachian tubes in your ears. When there is extra pressure and fluid in the Eustachian tubes, it can seep into your middle ears, which are critical in helping to keep your balance, and make you feel dizzy. Along with this symptom, you may also notice clogged ears and troubled hearing. 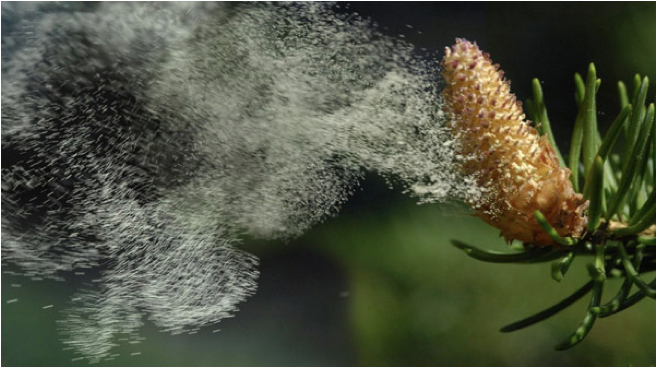 When you feel dizzy after being around certain pollens, you may be allergic. Pollen allergies will cause your immune system to release chemicals that fight off the allergen. This can cause a buildup of mucus in the upper respiratory tract and ears, which can make you feel dizzy. Other symptoms include: itchy throat, stuffy head, and watery eyes. A food allergen can also cause you to feel dizzy. When your body tries to get rid of the offending substance, it mobilizes all kinds of chemicals due to an immune system response. 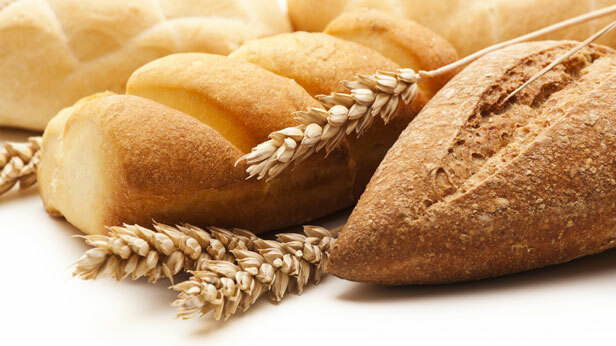 If you don’t have pollen allergies but feel dizzy, you may be suffering from food intolerance. This is common with gluten, dairy and other food additives. You may notice allergy symptoms within minutes of eating certain foods, but it can also happen a few hours or days later. Most food allergies show up within the first 30 minutes of eating a certain kind of food. You may not even notice that you have a food allergy if it is mild. With that said, a food allergy may have dizziness as its only symptom and you may not even know it was cause by something you ate. Allergy testing may reveal the cause as a food allergy. If you ask your doctor “can allergies cause dizziness,” you will most likely be told it is quite possible. The doctor will take a history from you and possibly refer you to an allergist for testing. If allergies are found to be the cause of your dizziness, your doctor will help you come up with a treatment plan that is best for you. Filter the air in your home by running an air conditioner with a clean filter. Keep your windows closed in the early morning when allergen levels are the highest. Use a vacuum with a HEPPA filter and dust your house often. Shampoo your pets to prevent mites, and vacuum furniture on a regular basis. A solution made with vinegar to wash hard surfaces can also help kill allergenic dust mites. You can also place allergy covers on your pillows and mattresses. Your doctor may recommend an over-the-counter or prescribe you an antihistamine medication. These can help reduce the body’s reaction to allergens and lower mucus production that can block your Eustachian tubes and lead to dizziness. You have to be careful with antihistamines because some of the side-effects can be dangerous. These include: drowsiness, increased dizziness, and slower reaction times. You should not drive or work with heavy machinery until you know how your body will react. There are certain drug-drug interactions when you take them with antidepressants, sedatives, pain medications, sleeping medications, alcohol, or medications that relax your muscles. There are some antihistamines that do not have sleepiness as a side-effect. Ask your doctor about trying one of them if you drive or do heavy work for a living. An anti-inflammatory medication can also relieve allergies. These include: steroid medications, nasal decongestant sprays, decongestant medications, and medications that suppress immune system response, which are called leukotriene modifiers. If you have food allergies, you may need to do a dietary challenge. This means taking all allergenic foods out of your diet and adding them back in one at a time to see which ones cause you to react. These foods include: gluten (wheat products), dairy products, berries, nuts, shellfish, chocolate, eggs, some meats, foods and beverages containing sulfites, and certain fruits. Remove all of these foods for at least one week. On week two, add them back in one at a time for at least a week to see if you have dizziness after eating them. Each week add one more food until symptoms appear and you will know that is the offending food. Make sure you are getting foods that contain antioxidants like red grapes or tomatoes. These coupled with a good multivitamin can help build up your immune system and change its response to allergens. Can other serious conditions cause dizziness? Yes. It is important to understand that if you are unsure whether your dizziness is due to an allergy, and you have other symptoms, you need to contact your doctor. If you have serious symptoms like fever, seizures, fainting, shortness of breath, or severe head pain, you need to get emergency medical help right away.